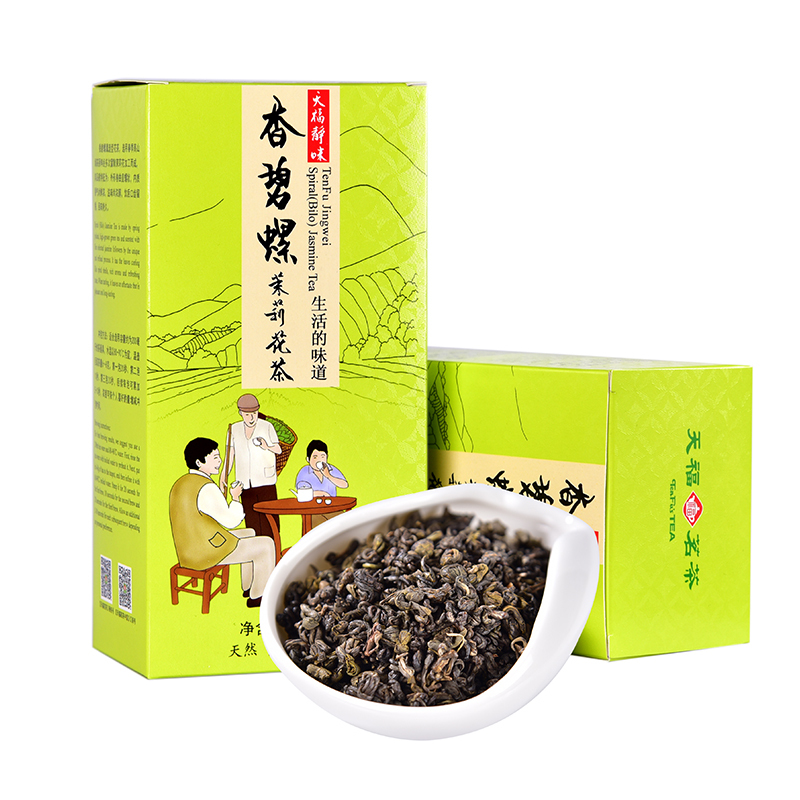 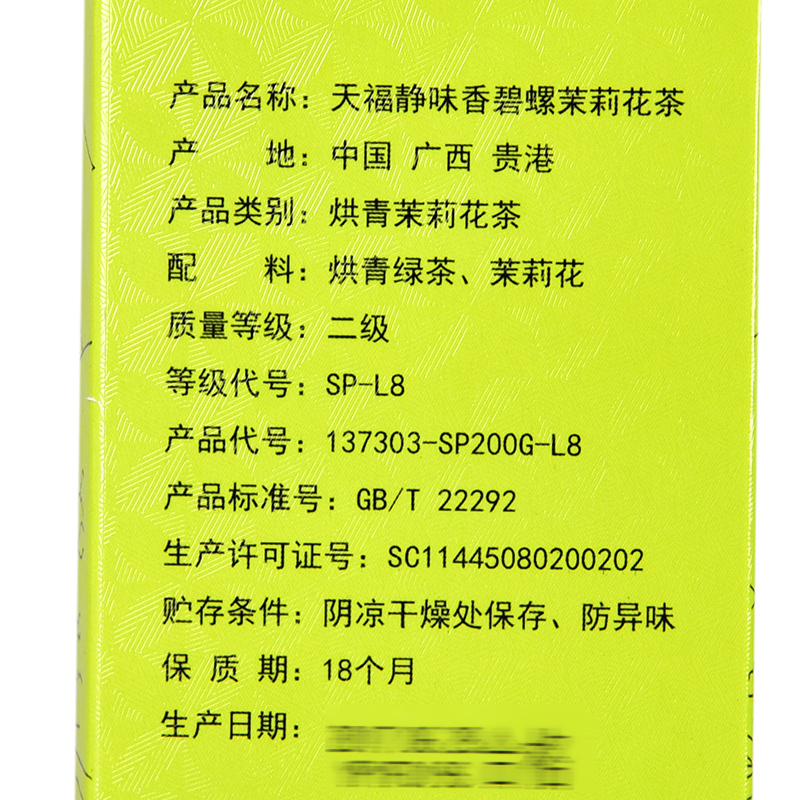 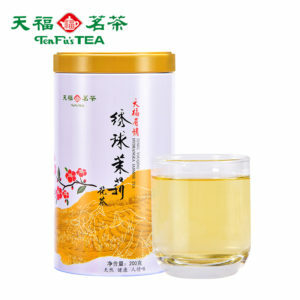 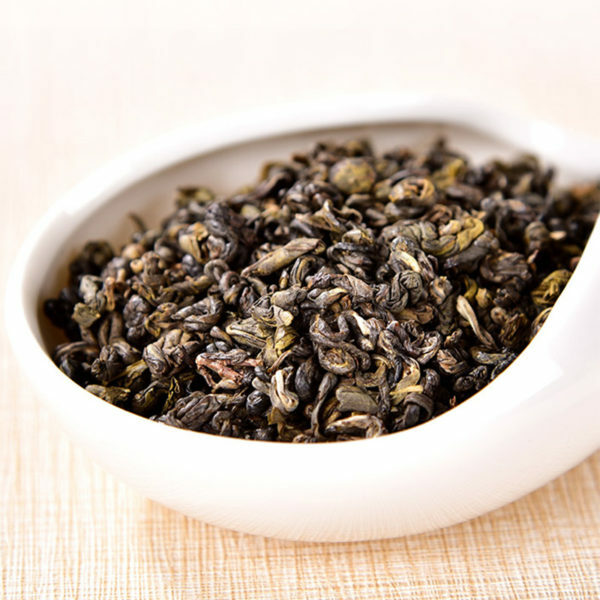 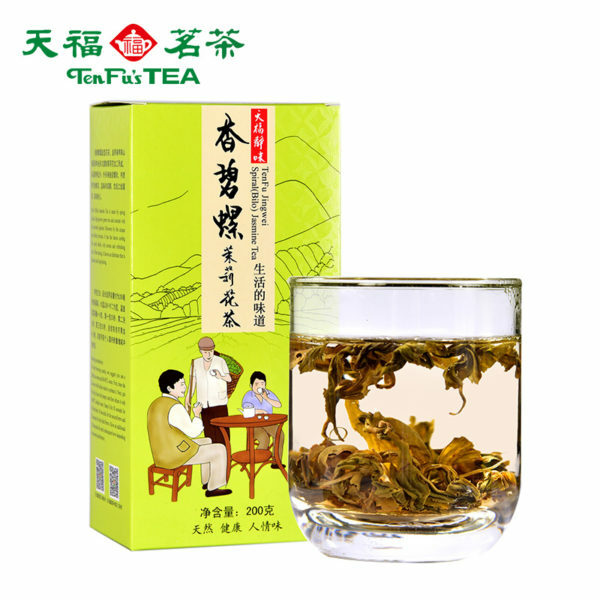 Buy Chinese green tea Jasmine Flavored 200g under 15 dollars online for sale. A soft green tea well balanced with subtle jasmine taste from famous China brand Tianfu good gift for herbal tea lovers. 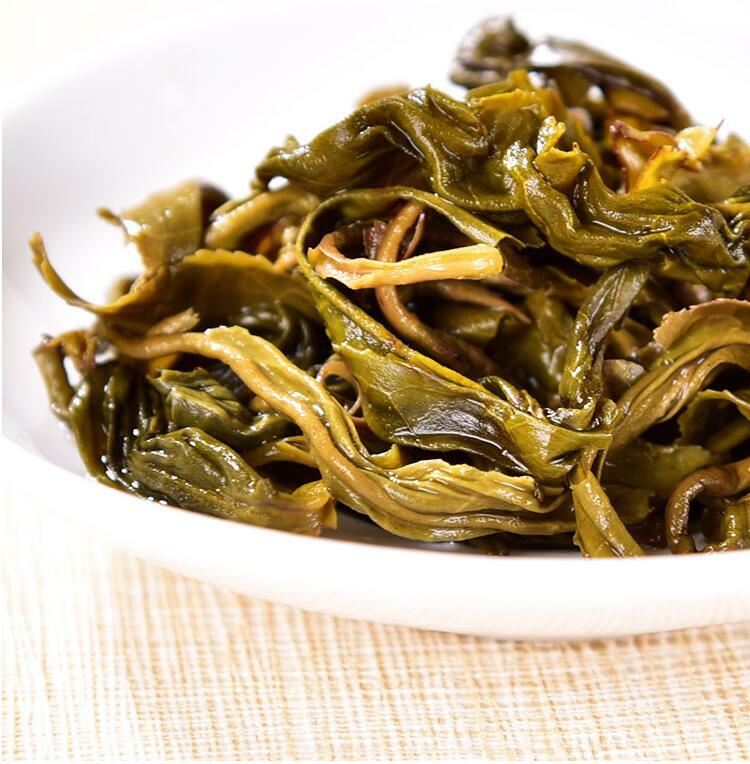 Early spring green tea with Guangxi Heng Xian jasmine wholesale. 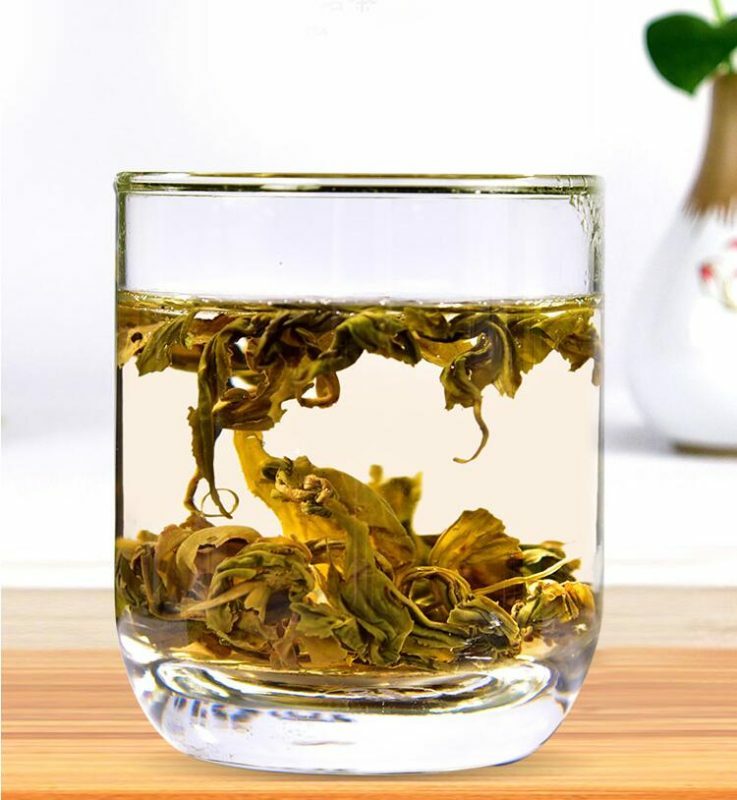 Just be careful with temperature and brewing time, because, as with most green teas and also white, too hot and too long will be sure to ruin a good tea. 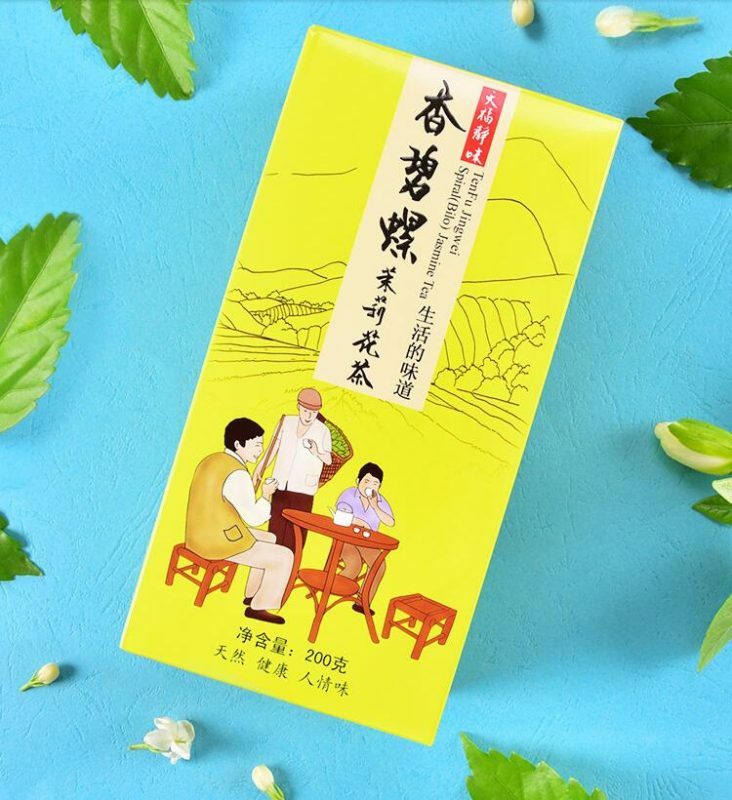 Although this tea has the Bi Luo Chun name, it is made using different materials – baked green tea and jasmine; the name comes from its similar appearance, small spiral shapes like snail shells. 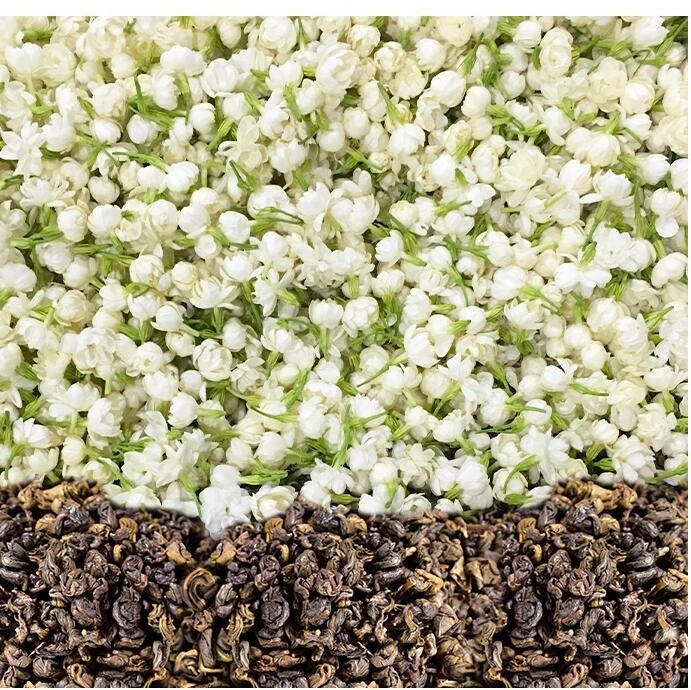 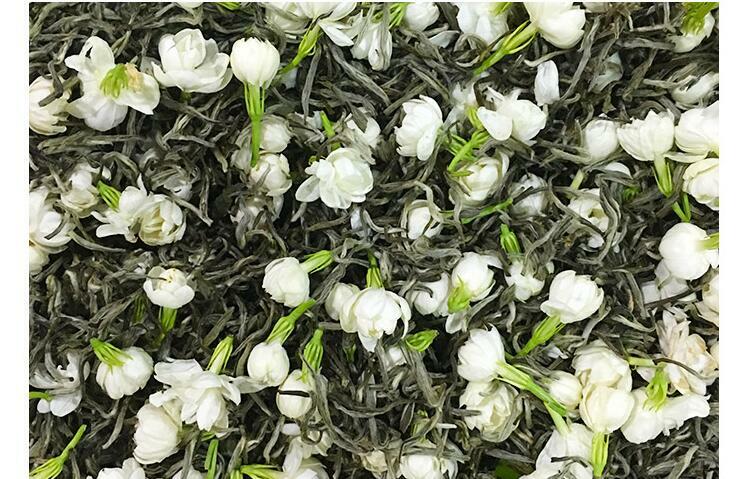 This tea has a lovely jasmine fragrance to it, a result of meticulous scenting with jasmine blossoms.